Includes: SMA 8200v Virtual Appliance, 100 concurrent users and 24x7 support for up to the specified number of users. Requires Qualifying Trade-up Product. SonicWALL "SMA Upgrade" Promotion: Get three (3) years of 24x7 support for the price of two (2) years when you upgrade to the latest SonicWALL SMA solution or save up to 68% on appliance cost by going to virtual. As businesses move out of the confines of a secure building, managing access to sensitive corporate resources has become a top concern for CISOs. There is a need for an intelligent access security solution that provides policybased access to guests, customers, partners and employees. Trends such as BYOD, cloud and remote working bring their own unique set of challenges, but fundamental problems remain. The SMA 1000 series is an advanced access security gateway that provides secure access to network and cloud resources from any device. The SMA 1000 series offers centralized, granular, policy-based enforcement of remote and mobile access to corporate apps and data, both on network and in the cloud. For organizations wishing to embrace agile working practices, such as BYOD, flexible working or off shore development, SMA becomes the central enforcement point across them all. The SMA Access Control Engine ensures risks originating from users, endpoints or applications are evaluated prior to granting data access. Remediation actions, such as session quarantining and alerting are enforced to minimize user frustration and reduce helpdesk calls. The SMA 1000 series empowers your users with secure remote access to the files, applications and resources they need to be productive with an intuitive client that is easy to deploy on Windows, Mac OSX, Linux, iOS, Android, Chrome OS, Windows Mobile and Kindle Fire devices. SMA delivers best-in-class security to minimize surface threats, while making organizations more secure by supporting latest encryption algorithms and ciphers. The SMA OS 12 HTML5 application agents provide a secure window to the most frequently utilized data types, while providing protection from malicious attacks and malware propagation. These feature rich agents keep parity with native application functions, which is critical for a great user experience. Clientless security provides zero-day device support, requires zero need for installation and thus leaves “zero” footprint, making it perfect for third party or un-managed end point access. SMA solutions provide secure access for all users, devices and applications. Increases productivity. Dell SMA works with more devices, including managed and unmanaged smartphones, tablets and laptops. Dell SMA makes your users more productive by providing easy, policy-enforced access to more applications from more environments - including iOS, Android, Windows, Linux, and Macintosh - than any other secure access solution. Flexible solutions for mobile device platforms. Mobile Connect provides an "in-office" remote access experience for users of iOS, Mac OSX, Google Android, Kindle Fire and Windows 8.1 devices. SMA now supports HTML 5 browser access for true clientless access - without Java or Active X - to Citrix Xendesktop and Xenapps (ICA support), RDP published apps and desktops, and gives smart phone, tablet and laptop users fast, easy access to allowed resources. Protect from malware and rogue access. Protect networks and resources from mobile malware and rogue access with context-aware authentication, which grants access only to trusted devices and authorised users. Configure policies to interrogate mobile devices for essential security information such as jailbreak or root status, device ID, certificate status and OS versions prior to granting access. Laptops and PCs are also interrogated for the presence, or absence of security software, client certificates and device ID. Devices that do not meet policy requirements are not granted network access and the user is notified of non-compliance. Faster ROI. Lower TCO. Dell SMA Series Appliances lower IT costs by enabling network managers to easily deploy and manage a single secure access gateway that extends mobile and remote access via SSL VPN for both internal and external users to all network resources - including Web-based, client/server, host-based, desktop virtualization and back-connect applications like VoIP. Secure per app VPN access to corporate resources from personal devices. With our latest release, you can ensure that only authorised mobile business applications (such as secure containers and virtual desktop apps) access the VPN. Only Dell Secure Mobile Access speeds deployment and reduces costs by eliminating the need for modification, app wrapping or SDK development. Validate digital signatures prior to access to reduce malware risk. Enforce worker acceptance of customizable policy terms, and record registration and policy information to minimize legal risk. Easy to use from any endpoint. The SonicWALL E-Class SRA Appliances provide a single gateway for all access, and a common user experience across all platforms - including iOS, Mac OSX, Android, Kindle Fire, Windows® and Linux® - from managed or unmanaged devices. Continual access enforcement both at the endpoint and at the edge helps secure corporate data from loss and theft. Through its robust and granular policy management engine, SMA ensures confidentiality and integrity of data. SMA validates every user, endpoint and application, before it enters the network, thus safeguarding data and empowering users. Administrators grant or deny access based on organizational policies and set remediation actions when quarantining sessions. ACE object-based policy utilizes elements of network, resource, identity, device, application, data and time. EPC allows the administrator to enforce granular access control rules based on the health status of the connecting device. With deep OS integration, many elements are combined for type classification and risk factor assessment. EPC interrogation simplifies device profile setup using a comprehensive, predefined list of anti-virus, personal firewall and anti-spyware solutions for Windows, Mac and Linux platforms, including version and applicability of signature file update. Administrators can define which specific mobile applications are allowed to access which resources on the network through individual app tunnels. AAC policies are enforced both at the client and server, providing robust perimeter protection. SMA ensures that the highest security stance is maintained for compliance and data protection by utilizing the latest ciphers and strongest encryption available. SonicWALL supports the federal, healthcare and finance industries with their regulatory requirements by routinely submitting all hardware models through rigorous industry security testing and certification. The SMA 1000 series delivers high performance layer-3 tunneling capabilities to a wide variety of client devices running in any environment. SMA 1000 solutions provide strong security stance out-of-the box for compliance, with default configuration ciphers, and administrators can further refine for performance, security strength, or compatibility. The SMA 1000 series provides a turnkey solution to deliver a high degree of business continuity and scalability. Global High Availability (GHA) empowers the service owner through a series of tools to deliver a service with zero downtime and allows very aggressive SLAs to be fulfilled. SMA offers global traffic load-balancing with zero-impact to users. Traffic is routed to the most optimized and highest performing datacenter. SMA OS 12 provides active/active configuration for high availability, whether deployed in a single datacenter or across multiple geographically-dispersed datacenters. SMA 1000 appliances scale performance exponentially by deploying multiple appliances, thus eliminating a single point of failure. Horizontal clustering fully supports mixing physical and virtual SMA appliances. User licenses no longer have to be applied to individual SMA appliances. Users can be distributed and reallocated dynamically among the managed appliances, based on user demand. SMA provides a web-based management platform to streamline appliance management while providing extensive reporting capabilities. CMS provides centralized, web-based management for all SMA capabilities. Alerts can be configured to generate SNMP traps that are monitored by any IT infrastructure Network Management System (NMS). SonicWALL SONAR allows the IT administrator to quickly and easily diagnose access issues, gaining valuable insight for troubleshooting. Real-time output to central SIEM data collectors allows security teams to correlate event driven activities, to understand the end-to-end workflow of a particular user or application. This is critical during security incident management and forensic analysis. SMA’s extensibility program connects our product to complementary security solutions, and empowers our customers, partners and third-parties by integrating with industry leaders and providing powerful APIs. Management APIs allow full programmatic administrative control over all objects within a single SMA or global CMS environment. End User APIs provide complete control over all logon, authentication and endpoint workflow. SMA integrates with leading enterprise mobile management (EMM) products such as Airwatch and Mobile Iron. The SMA 1000 series provides a consistent and simple user experience through single sign-on (SSO), while protecting against threat actors and credential harvesting. SMA SAML IdP proxy enables SSO via a single portal to both traditional AD username/ password and SaaS cloud resources, while enforcing stacked multifactor authentication for added security. SMA provides air gap security to your campus hosted SAML IdP through credential chaining technology in its FIPS certified edge point appliance. SMA provides simple integrations with industry standard repositories for easy management of user accounts and passwords. User groups can be populated dynamically based on RADIUS, LDAP or Active Directory authentication repositories, including nested groups. Common or custom LDAP attributes can be interrogated for specific authorization or device registration verification. SMA provides flexible proxy options, for example vendor access can be provided through direct proxy, contractor access through reverse proxy and employee access to Exchange through ActiveSync. SMA provides authentication support using an existing Kerberos infrastructure, which does not need to trust front-end services to delegate a service. A positive user experience ensures users adopt the strongest security policies and avoid shadow IT scenarios, which pose a serious risk of data loss. 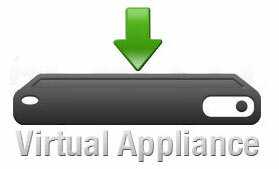 SMA’s network-aware VPN client detects when the device is off campus and autoreconnects the VPN, bringing it down again when the device returns to a trusted network. SMA provides secure clientless access to resources via HTML5 browser agents delivering RDP, ICA, VNC, SSH and Telnet protocols. The WorkPlace portal provides users with a customizable and intuitive landing page of dynamically personalized resources. Administrators can choose Split-Tunnel or enforce Redirect-All mode with SSL/TLS tunneling and optional ESP fallback for maximum performance. SMA provides session persistence across different locations without re-authentication. Mobile Connect is supported on all OS platforms, providing users complete flexibility in mobile device choice. Robust interrogation for secure control of the endpoint - Dell SMA End Point Control (EPC) lets you enforce granular access control rules for Windows, Apple Mac OS X and iOS, Android, Kindle Fire and Linux endpoints. EPC provides pre-authentication interrogation to confirm endpoint criteria such as anti-virus updates. Policy zones apply endpoint criteria to automated policy enforcement. For example, a user's access may be quarantined and redirected to remediation instructions until a security patch is installed. Device watermarks allow access from a lost or stolen device to be easily revoked, based upon detection of client certificates. Device identification enables administrators to tie the serial or equipment ID number for a specific device to a specific user or group. Virtual keyboard stops keystroke sniffers on untrusted endpoints. Recurring EPC performs endpoint scans at user login and at administrator-defined intervals to ensure the ongoing integrity of the endpoint. EPC also includes capabilities to determine if an iOS device has been jailbroken or an Android system has been rooted. Advanced EPC for ultimate protection - Optional Dell SMA advanced EPC combines granular endpoint control detection with superior data protection. Advanced interrogator simplifies device profile setup using a comprehensive predefined list of anti-virus, personal firewall and anti-spyware solutions for Windows, Mac and Linux platforms, including version and currency of signature file update. Cache control purges browser cache, session history, cookies and passwords. Dell SMA gateways also block suspect email attachments in Outlook Web Access or Lotus iNotes, and they also block access to financial data or patient records. Connections on SMAs are closed by default, providing "deny all" firewall-style protection. Setup and policy management -With its context-sensitive help and setup wizard, the SMA solution is easy to deploy. Unified policy consolidates control of all web resources, file shares and client-server resources in a single location, so policy management takes only minutes. Groups can be populated dynamically based on RADIUS, LDAP or Active Directory authentication repositories, including nested groups. Policy replication lets IT easily replicate policy across multiple appliance nodes, either in the same cluster or in a geographically distributed fashion. Single sign-on and two-factor authentication - SMAs support single sign-on (SSO) and form-based web applications. Moreover, users can easily update their own passwords without IT assistance. Onetime password (OTP) support provides a built-in method to generate and distribute secondary factors, enabling easy and cost-effective two-factor authentication. Administrators can associate OTPs by realm for greater flexibility in authentication control. Intuitive management and reporting - The Dell SMA management console provides an at-a-glance management dashboard and a rich, centralized set of monitoring capabilities for auditing, compliance, management and resource planning. Optional SMA advanced reporting audits who accessed what enterprise resources at what time and from which remote location, using standard or custom reports that can be viewed from any web browser. Dell Secure Mobile Access solutions provide secure access for all users, devices and applications.